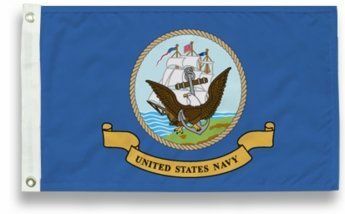 The flag of the United States Navy consists of the Seal of the Department of the Navy in the center, above a yellow scroll inscribed "United States Navy" in dark blue letters, against a dark blue background. The U.S. Navy flag was officially adopted by President Dwight D. Eisenhower on April 24, 1959. It is used on land in offices, in parades and for ceremonial occasions, and often on a staff at the quarterdeck of ships in port. 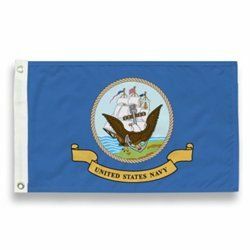 AmericanFlags.com features Navy flags in two materials - military-grade nylon and standard polyester. 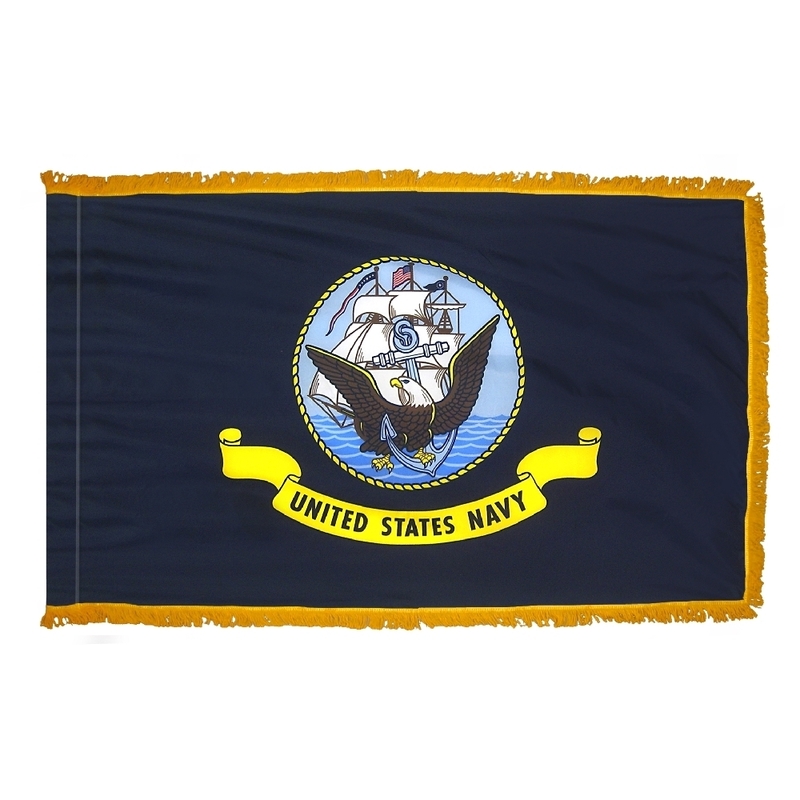 We offer Navy flags for sale in a variety of sizes from 12" X 18" to 6' X 10'. AmericanFlags.com also carries handheld Navy flags, which are perfect for parades, ceremonies and other events.